Unlike most blogs, I did a lot of research and put the VPS Black Friday deals in table. You can sort the tables to find which company offers higher bandwidth, lowest price, high RAM etc. Likewise, you can do for all types of plans. The best VPS Black Friday deals on starter plans. Liquid Web Black Friday deals are over, check for available 50% OFF Liquid Web VPS Coupon Code for 2019. You can clearly see, Liquid Web is the clear winner since it offers 10TB bandwidth where competitors are nowhere near to them. Liquid Web was founded in 1997 and operating independently and the company focuses entirely on VPS & Dedicated hosting with their own datacenters in two continents. I already hold an account with Liquid Web, thus I completely recommend them. So, you have nothing to worry and start hosting your sites on LiquidWeb right now. Black Friday sales are incomplete without VPS deals. Bloggingio brings you the very best VPS deals on the planet for this Black Friday 2018. As usual, I'm not going to the mass list. Instead, I was recommending deals from hosting companies that offer better reliability and customer support. The Deals are promoted in the order based on discounts. So each hosting company has its own uniqueness and choose a deal based on your needs. 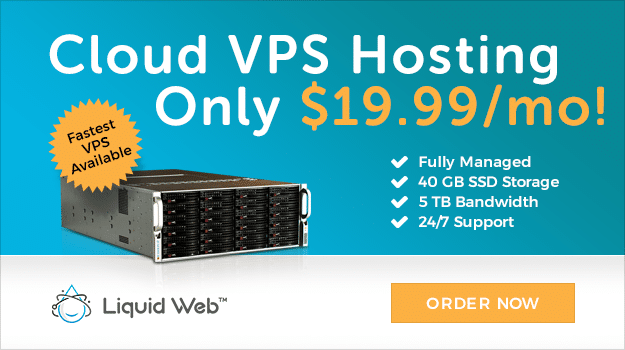 Liquid Web, the fastest VPS hosting offering some great black friday deals. I hold an account with Liquid Web cloud VPS and I completely recommend it. The amount of bandwidth offered by Liquid Web is insane giving some tough battle to competitors. The starting bandwidth for Cloud VPS plan is 10TB while most other hosting companies provide just 2-3 TB Bandwidth in the same price range. I'm their Paying customer & thoroughly enjoying it. Most companies ask you to upgrade to higher plans once your bandwidth get exceeds, but with Liquid Web, you can stay on the same plan for years to come. What else you need from a hosting company? Liquid Web offers 33% OFF on their Cloud VPS plans and you can check out them. A2 Hosting, another fastest web hosting with its A2 optimized turbo server setup delivering fast loading sites by incorporating all the possible optimization techniques. A2 Hosting offers both managed and Core (Unmanaged) VPS hosting. I would suggest you go with managed VPS hosting because A2 Hosting has really knowledgeable customer support folks who would take care of your sites. The above results is taken few months back where the site is hosted with A2 Hosting. The uptime & response time is just perfect. As of now, there is no way I could stop recommending FastComet. Bloggingio got hosted on FastComet shared hosting since 2015 and they offer complete hosting solutions with no upsells. FastComet offers complete managed Cloud VPS hosting backed by 24/7/365 customer support. You will get root access along with cPanel/WHM license and the hosting plans are completely scalable with automatic daily and weekly backups. When I talked with FastComet tech team earlier, they recommend going with VPS Cloud 2 or Cloud 3 plan since they offer higher RAM & CPU cores which helps them to carry out necessary optimizations to load your websites faster. 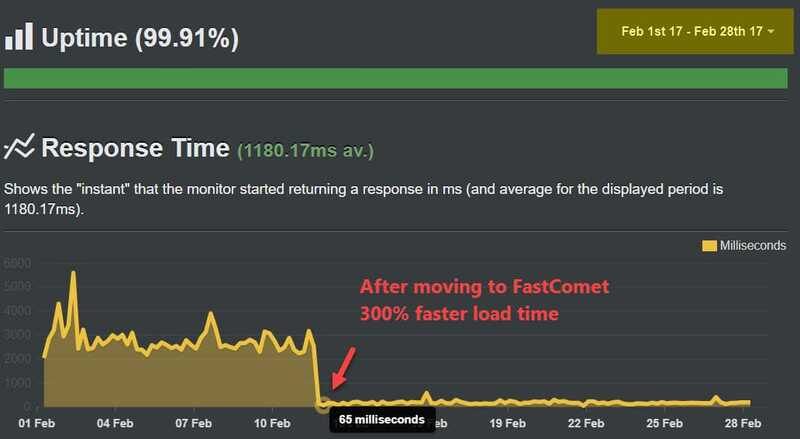 The sites moved to FastComet enjoys faster loading times ( he above screenshot belongs to web hosting plan costs $10.95/month). 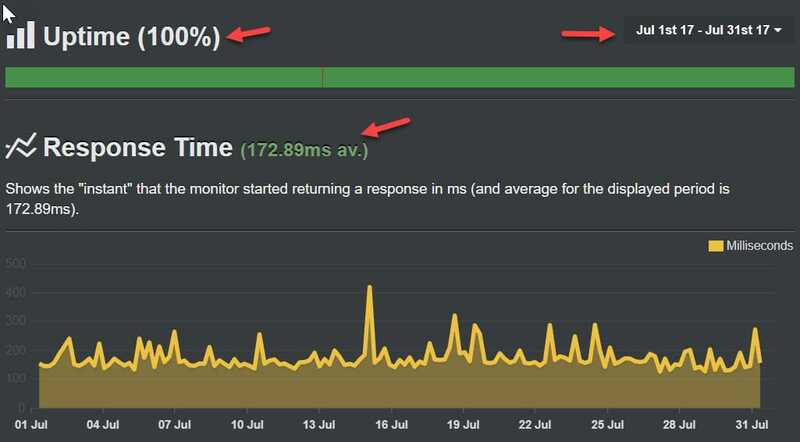 Since all the web & VPS hosting using the same optimization techniques, the loading time will be same across all the packages. If you're completely looking for a managed hosting solutions, you can go with LiquidWeb, since they are truly professional in offering VPS hosting since 1997. If not you can go with A2 Hosting which is offering some really great VPS black Friday deals with 50% OFF on managed VPS hosting. Apart from it, you can also get unmanaged VPS hosting from this company. If you're completely looking for a new age hosting solutions, you can go with FastComet. However, I need to check whether there will be any Black Friday deals happening on this VPS black Friday 2018. We are updating this Black Friday VPS deals post with more offerings. Stay connected to pick those time-sensitive deals.